Both 2.3" diameter spalted maple tea light candle holders were finished with tung oil. The barley corn design was cut with a 45 degree tool bar with a sharply pointed cutter. 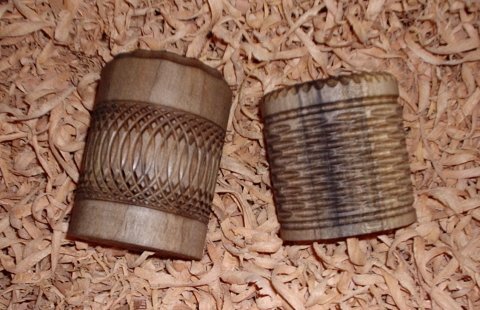 The basket weave was cut with a 90 degree tool bar with a rounded cutter.